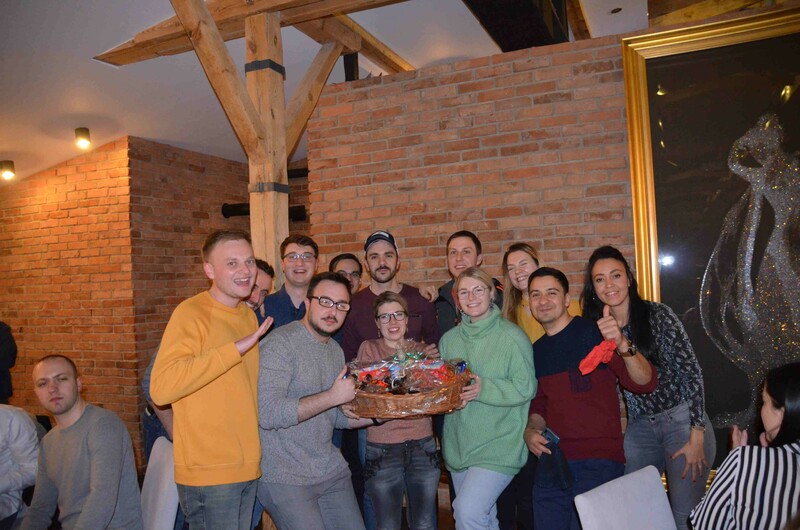 This post is co-authored by Marta Sieron, Account Manager at Dell EMC in Warsaw, Poland, and participant in the EMEA Graduate Program. The EMEA graduate program recently met in Lodz, Poland for a 4-day face-to-face event. Read on to learn more about Lorin and Marta’s experience! 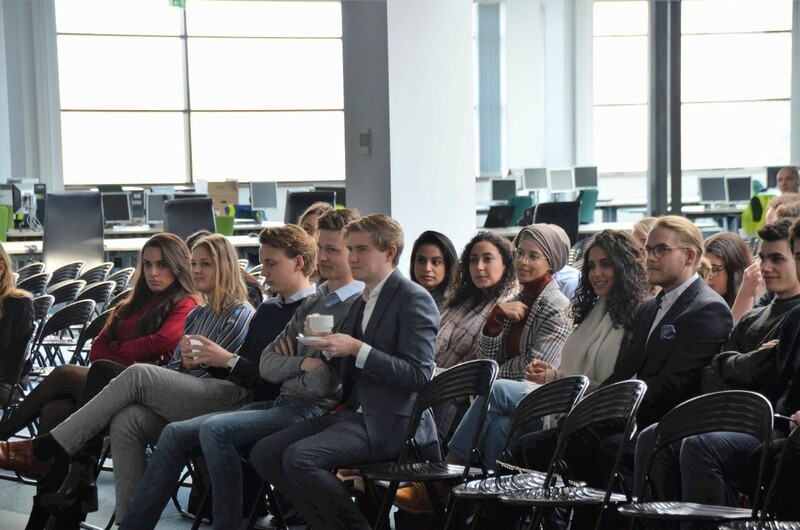 The most appropriate word to describe the experience we as participants in the EMEA Graduate Program have been lucky enough to have, is diversity. When we use the word diversity, we are referring to opinion, culture, gender, social and professional backgrounds, and most of all, the multitude of bright ideas shared. There was no doubt that when one hundred minds hungry for knowledge, gathered from across the globe, an impressive events was to be had. The recent EMEA Graduate Event took place in Lodz, home to an incredible number of art museums and a former textile and industrial center. This was the perfect setting, as it allowed for, and encouraged all members of the group to express themselves through the combination of art and technology. We both truly believe this combination brings out the best in people. Lodz is also home to one of the most advanced manufacturing facilities, the Dell factory, where our adventure began. After the tour of the facility and time with employees, we were very lucky to experience Anja Monrad’s Lessons of Leadership. Anja spoke of her career path and inspired us to never be afraid to take risks. She had the room completely enchanted—it was such an honor to meet someone who thrived so heavily at Dell, as one of us, part of the same team. She too was a graduate, so we will strive to follow in her footsteps. 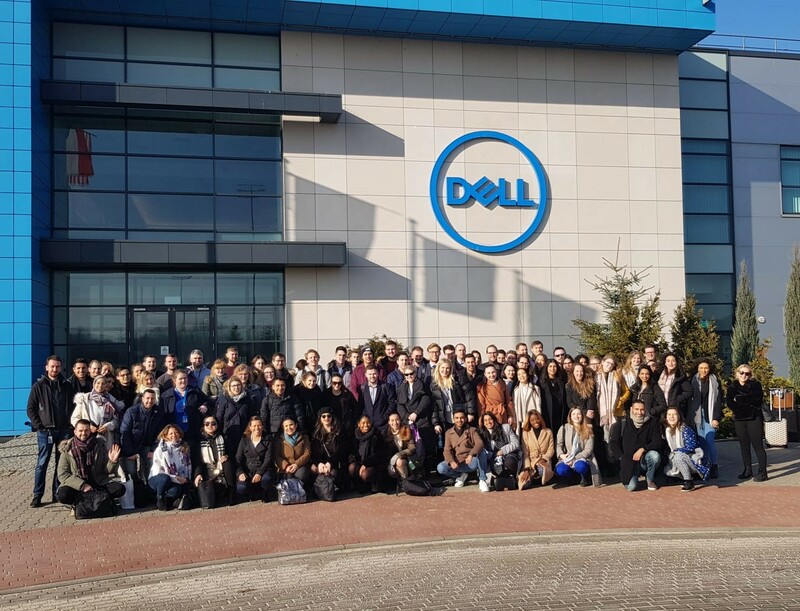 “There’s a reason why Michael Dell wants a certain percentage of the company to be graduate hires” said Anja Monrad “it’s your strength, bringing new and different perspectives and your passion and energy. We can’t build the future of our company based on outdated ideas. Don’t you ever forget that.” she stated strongly, looking at us full of pride. In her speech Anja emphasized, multiple times, the endless potential that we are all capable of bringing to Dell Technologies. Even though we have only just begun our journey, we have so much to contribute. She was right in everything she shared with us. There is so much that we are yet to learn, but we have so much potential. We will all face difficult choices and decisions throughout our careers, but how we chose to deal with them will define us. After all, we are the future of this company—the fresh perspective, the passion and most importantly, the strength necessary to bring Dell Technologies to a new level. In addition to these valuable sessions, we were given the opportunity to spend time deepening our knowledge of the Dell Technologies portfolio. 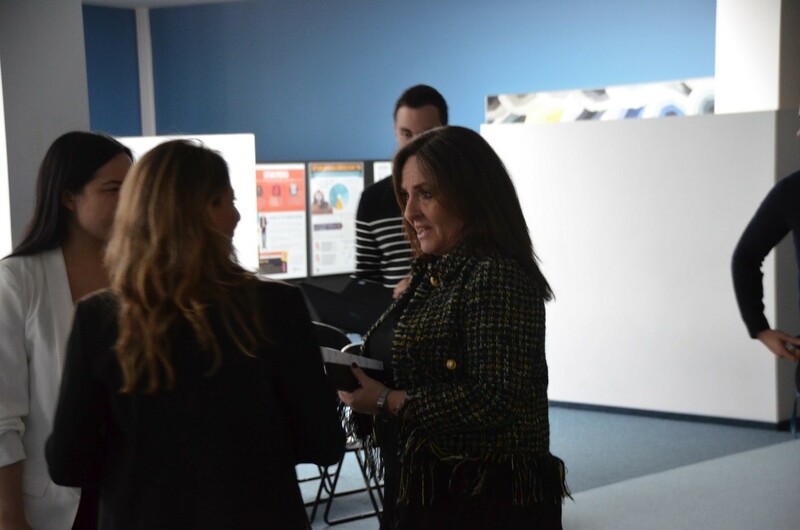 We found this part of the event extremely helpful not only because of our positions as , but also because of the impactful discussions we had with our colleagues afterwards. It was amazing to share knowledge and best practices from each of our own countries. It wouldn’t be a full summary of our learnings, if we didn’t mention the inspiring Diversity and Inclusion session led by Wieslaw Grzelak, and the second Lesson of Leadership session by Dariusz Piotrkowski. We also experienced an eye-opening Presentation Skills session by Daniela Petrikova, who made sure we were all aware of our strengths, the impact of body language and the idea that everyone can present. Although we were confident and excited to meet our virtual teams, who we previously worked with for several months, there was one thing that kept us all awake at night, The Special Project Presentations. This was the first time we presented the results of our hard work. It’s one thing to present on a specific subject, but it is a completely different feeling of satisfaction to present something you are extremely proud of. These special projects were created to improve the visibility of Dell Technologies regarding the employment market and the graduate program. The atmosphere was full of excitement—our virtual teams finally worked together face-to-face for the first time. We worked together as a unified team, listened to each other each individual opinion, and ultimately enjoyed the time together. With tablets in our hands, we started a treasure hunt adventure, running around the city in the search of the unknown prize. The game was created especially for us, designed to bond us as a team, teach us the history of the city we spent last few nights in and challenge our teamwork skills. We chased the ghosts, answered questions about famous polish movie directors, art and proletarian revolution. We tried traditional Polish food, created a piece of art and decoded old poems. When we finished the game, we realized we achieved more than we expected—we bonded as a new team and successfully cooperated with each other despite many language and cultural differences. The experience wasn’t about the prize—it was about learning new things about each other and thinking outside of the box to find solutions to unusual obstacles. The treasure hunt around Lodz wasn’t the only bonding event during the 4-day event. We were given many opportunities to get to know each other. This ensured that our Special Project would be lead with passion. As all things must come to an end, we found ourselves on the bus once again, but this time slowly moving away from the Dell factory site. 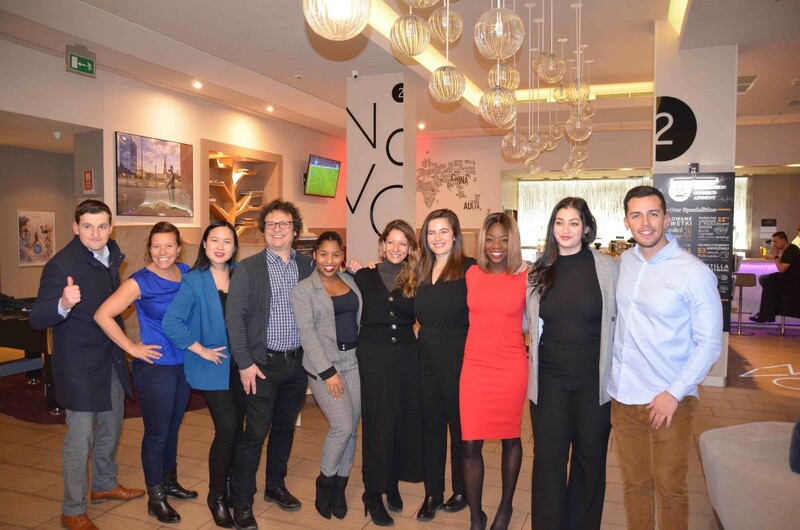 We were fortunate to have a very dedicated and proactive Core Team who made this incredible event possible—a big thank you to Hind Mouna, Brigitte van Ardenne, Yanny Chau, Farah Chith, Steven Vlaminckx, Tsnatee Elisa, Jesús Ruiz García, Mary-Anne Tijani, Jana Jurdikova, Thomas Schiefner. This event was more than a job-focused learning experience. It was also about connecting with people and understanding that the notion of borders is not the same as it was years ago. This was a great opportunity and gave us the freedom to combine our ideas. 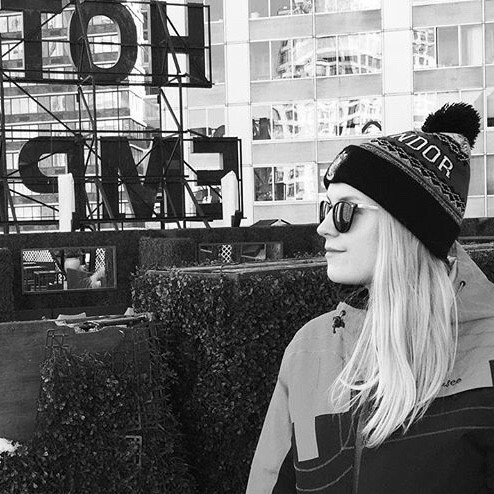 Marta works as an Account Manager at Dell EMC in Warsaw, Poland. She joined the EMEA Graduate Program in October 2018 where she became a part of Large Commercial Team. Her academic background contains master’s studies in Administration from Nicolaus Copernicus University and Business Marketing from Long Island University in the USA. Marta has previous experience in publishing and has also been engaged in many cultural exchange programs within European countries.